XXXIV, 115 p., 16 ill., 17,6 x 24,4 cm. 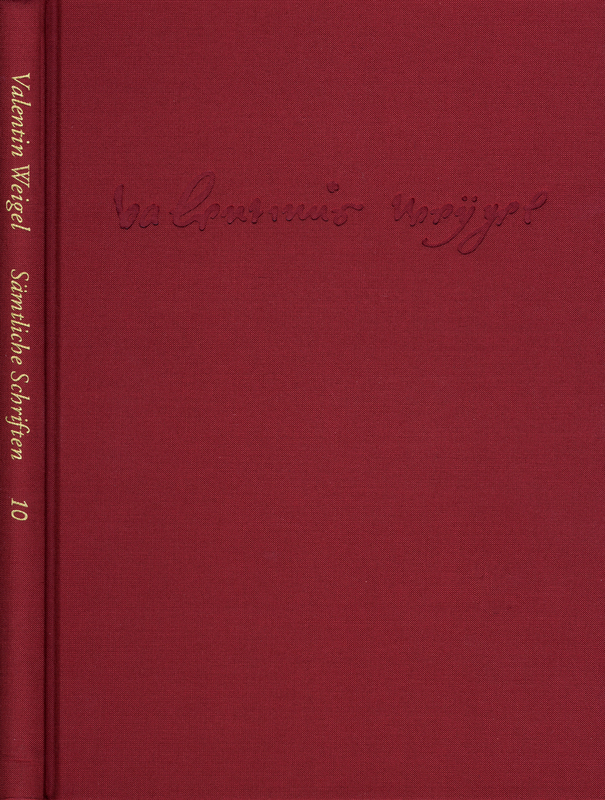 In ›Vom Ort der Welt‹, (The Place of the World), handed down in its published form only and written around 1576, Weigel deals with the problem of space which he interprets in one way in Paracelsian terms as the outer worldly space and in another way in terms of theology as the continuation of mystical reflections on the inner spiritual space. This work, contained in the first instalment of Valentine Weigel’s ›Sämtlichen Schriften‹ (Collected Works), is available for the first time in a critical and annotated edition. The ›Scholasterium christianum‹, (written around 1571), was an early attempt to combine the reflections on the problem of space with a study of the concept of time. This has not previously been part of a modern edition.